I love incorporating the arts into our homeschool. Music is so important at our house. 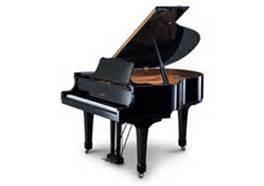 The 3 big kids play two instruments each right now – piano and violin. 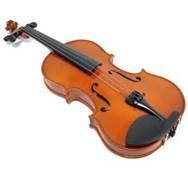 I’m the piano teacher and we outsource for our violin teacher (who is a homeschool mom herself). We use My First Piano Adventures from Faber. Curly is in book C and Tiger and Bee are in book A. I’m hoping Curly finishes the series by the end of this year and is ready to move to the first level of the Faber books. I give the kids short 10 – 15 minute lessons each day. Curly plays well and easily memorizes all her pieces, but never keeps a steady tempo. Tiger likes to play sometimes and is great with the dynamics on the pieces, but he plays with stiff fingers – he’s just so tense. Bee loves to play all the time and composes her own pieces. She has quite the musical ear. But she often doesn’t listen during our lesson times and giggles herself right off the bench. The kids are learning the Suzuki violin method. Tiger and Bee are learning their first few notes along with the technique of holding the bow and the violin. Curly has learned the first several pieces in the book and is progressing well through the songs. Their teacher is so patient with all their crazy antics. Yes, we have all 5 kids crammed into the violin studio during the lessons while I referee and take notes (ha! that rarely happens!). It’s so precious to hear them play though. They enjoy the violin and don’t put up too many complaints about practice time. And I get to be their practice buddy every day as I sit with them while they go through all the exercises on their practice charts. Oh, I’ve been slacking in this department. We should be listening to more classical music and doing composer studies. But I have let this part of our music education slide. I’m going to try to blast some classical music through the house when I remember and we are going to hopefully read about a few composers. 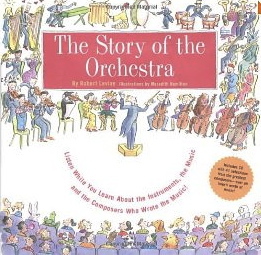 I think we might try The Story of the Orchestra and read through some books about specific composers using this series: Getting to Know the Word’s Greatest Composers. 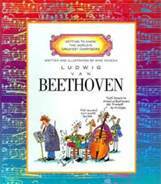 And I’ve found an inexpensive series of classical music that is on our list: Classical Music for the Reader. It’s a collection of famous works by various composers – and it is great to listen to while reading (or even blogging). We've loved the Getting to Know the World's Greatest Composers series! Some of them are available on DVD too. Ohh that's good to know! I will look for those!